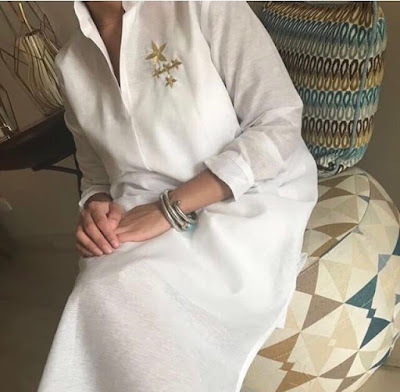 My sister invited her friend Badoora and her sisters to our house for a small dinner party today. 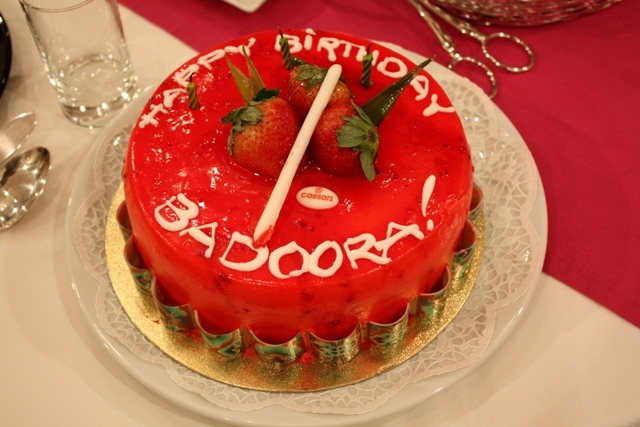 She also wanted to celebrate Badoora's birthday with a small cake. She chooses the most hideous looking cake she could find. She also managed to convince Badoora that she bought it from her favorite bakery shop (which is not true). 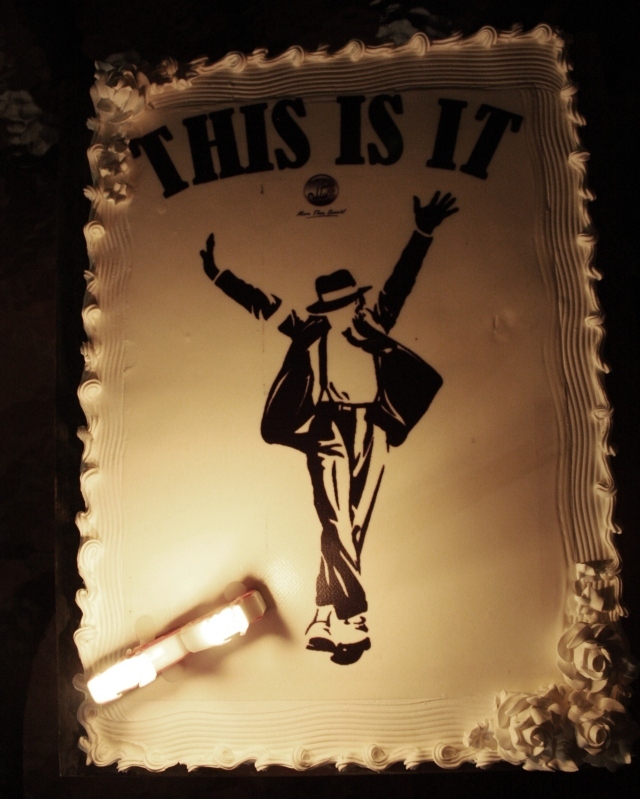 (This is it) meaning this is your real birthday cake not the one you saw before (that nobody touched). I know she is a BIGGGGG Michael Jackson fan, but I didn't expect her reaction at all, she screamed the moment she saw his picture, she lovvved it. She didn't stop taking pictures of the cake, her sisters too. She didn't even let us eat from it, until she saw our sad faces and decided to give us some from the sides without destroying MJ. 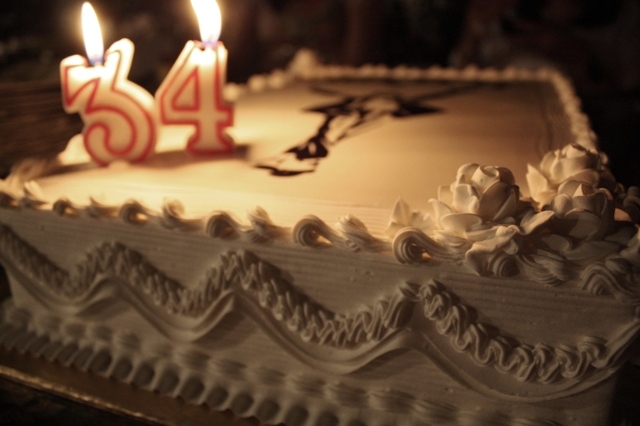 (Sablaih) the Bakery shop made this cake for us, I didn't like the flowery thing on the sides, I thought it is going to be plain plain, but they just don't understand the word plain they have to add this.